But now we are done with the full-time lifestyle and embarking on the next course. Instead of writing about travel most of the time, I’m going to turn my attention to other things. So this blog is being closed, to preserve it as a record of this phase of our lives, and a new blog is being opened. I spent weeks trying to figure out a name and theme for the new blog. I wanted to convey the idea that we would be continuing to explore life, tasting new dishes, hiking new trails, making mistakes, and hopefully growing along the way. Finally, I went to a large bookstore and wandered the aisles looking at book titles for inspiration. Popular book titles tend to be aggressive or provocative. I suppose this helps with sales, but I didn’t want a title that had too much “attitude” or was negative. Actual book titles like “Losing The Race,” “Jihad vs. McWorld,” “Cold New World,” and “Bait and Switch,” were depressing. I was also trying to avoid a title that implied a pat solution or closure to anything, since I have no idea where the new blog will go. I don’t have to sell anything, and I want the blog to reflect a positive outlook on life. I finally settled on an inspiration from our neighbors, the Tohono O’odham people who live in southwestern Arizona. I think it encapsulates the concepts I want to talk about in the months to come: the progression of life, striving for betterment, choices, ideas, and learning. The new blog will be called, “The Man In The Maze,” and you’ll find it by clicking here. Comments will still be permitted on every entry of this blog, so feel free to add your thoughts to anything you read in the Archives. I hope the Tour of America continues to provide inspiration and assistance to thousands of RV travelers for years to come. Thank you all for sticking with us this far. See you on the road! We’ve left the Balloon Fiesta to roam down I-25 into southern New Mexico somewhere. We left on a high note: This morning the balloonists were competing to play a form of aerial poker, where they dropped things onto “playing cards” on the field in an attempt to make the best poker hand. After passing by the field, they floated at low altitude directly over the VIP RV area where we were parked, and many of them landed just a few hundred feet away. This made for some spectacular morning viewing, along with the opportunity to play ground crew for the balloonists. As they touch down they usually need a few people to help hold the basket down until their chase crew catches up. 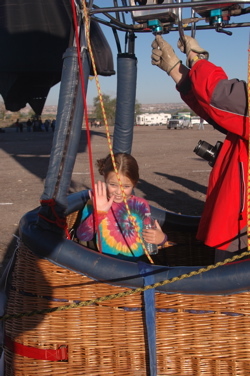 Emma and Eleanor helped three balloons, and Emma was privileged to stand in the basket with the pilot, too. 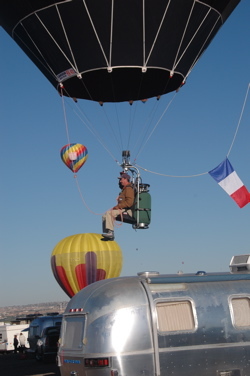 Other balloonists took advantage of the famous “Albuquerque box.” On about 30% of days in October, there’s a low-level wind that blows in one direction, and a higher-level wind that blows in the opposite direction. 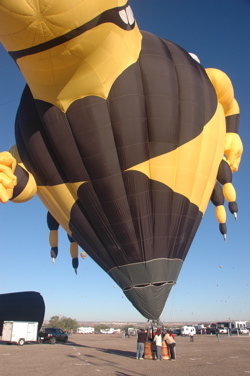 By changing altitude, the balloonists can fly back and forth over the area. This kept the sky full of balloons for a couple of hours. Unfortunately, the winds didn’t favor those gas balloonists who left last night. This morning a couple of them were still visible in the sky, just a few miles from where they started. They were hoping to get as far as Minnesota in a couple of nights. 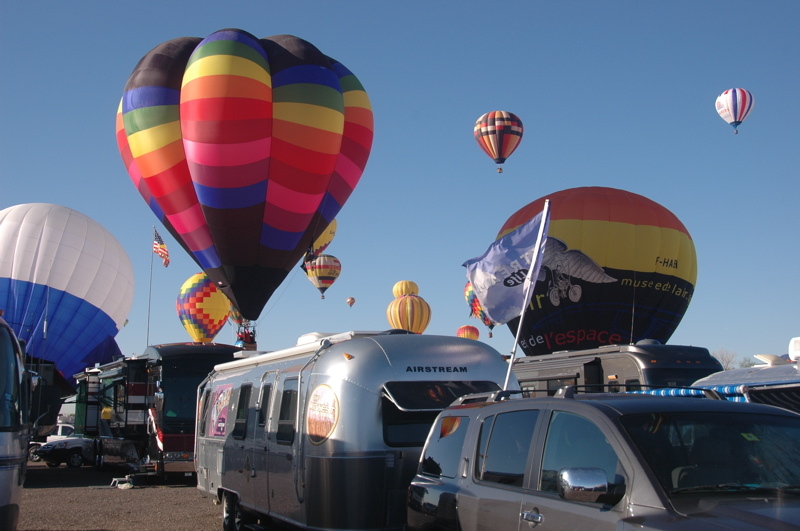 Moments like this morning are the payoff for putting up with camping at the Balloon Fiesta Park. It is certainly one of the worst places we’ve ever camped in all other regards. Even Wal-Marts are far superior. The grounds are crushed asphalt and dirt, and in the rain sections of it quickly turned to mud. Sites are tight, allowing just enough room to put out an awning but nothing more. Generators are permitting 17 hours a day, and many Class A motorhome owners took full advantage, deluging us with diesel fumes. Particularly annoying is that there is little enforcement of the rules. Almost every night someone ran their generator for hours after the official shut-down time of 10:30 p.m. They weren’t all the quiet type, either. There’s no dump station, and no water fill. A roving pump-out truck and a separate water truck will service your RV for $20 (each). We paid for both a dump and fill because we used a lot more water than we normally would, due to Emma’s 24-hour virus. The water truck never showed up, and this morning (after two days of waiting), we got a refund. For $65 per day, there are certainly better values in a campground. But you put up with the crowded, noisy, smelly, and occasionally muddy conditions because the spectacle of the balloons makes it all worthwhile. We are glad we went, and we might even go again sometime, but I sure wish the Fiesta organizers would try a little harder to improve the experience. I’d suggest trimming the generator hours down considerably, arranging a water fill station, and bringing volunteer “campground hosts” every few rows to enforce the rules & help people with problems. I can see why hot air ballooning is so popular. 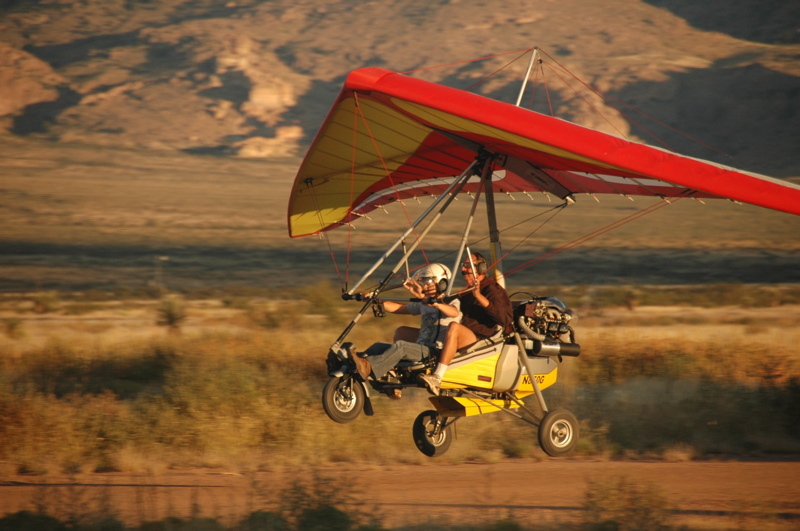 You get to fly, in a beautiful object, on a beautiful day, and play with fire. People always look up and admire your aircraft. Balloonists are so venerated that they have carte blanche to land almost anywhere and be forgiven for whatever disruption they cause. 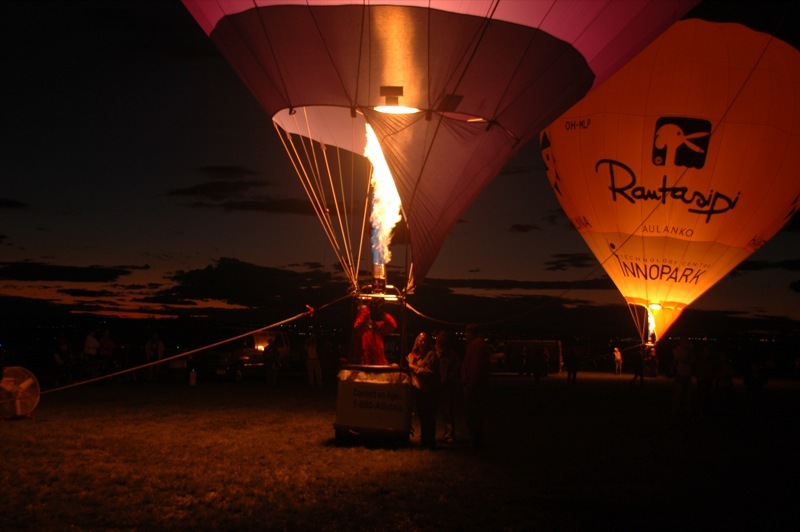 One of the big joys for balloon watchers is the “balloon glow.” The balloons are tethered to the ground, and the huge propane burners that make the hot air are fired at dusk, making the balloon into a giant incandescent light bulb. Like moths, we were all attracted to the scheduled balloon glow last night. I was surprised to see that I was one of a few photographers out with a tripod, since without one it would be difficult to get good photos. 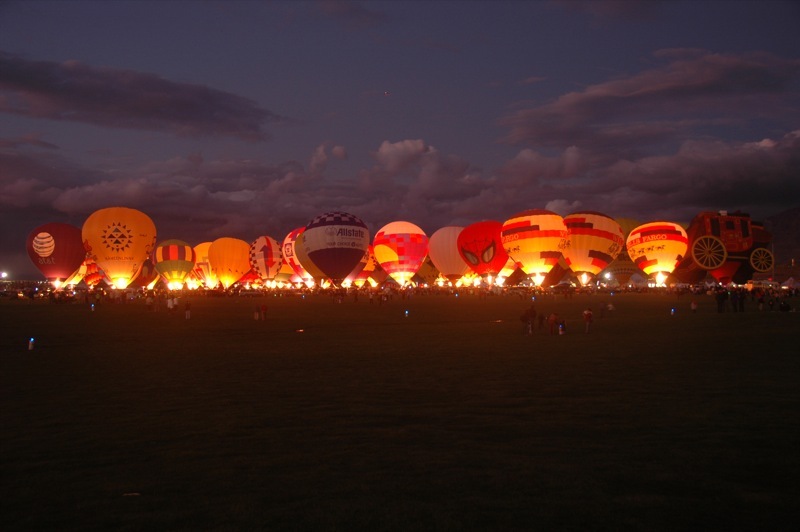 Shooting a balloon glow is particularly tricky, since the constantly changing light of sunset and randomly-firing propane burners will confuse automatic exposure meters. I started using a bracket program (where the camera would fire off three quick shots at different exposures) but soon settled on an exposure that I set manually and adjusted every few minutes as the sun went down. These events are so brief that it is like watching soap bubbles. For just a moment the sky is perfect and the balloons are all glowing. The people are cheering and smiling as they walk across the grassy field, and then moments later it is dark. The balloons all disappear and there’s nothing left but the fluorescent lights of the vendors off to the side. Earlier in the day we visited the nearby Balloon Museum, which is small but interesting. It covers all the highlights of ballooning from the first flights by the Montgolfier brothers through Japanese WWII-era “Fugo” bombs and up to the recent round-the-world flights by Steve Fossett and others. But while the museum was worth a couple of hours, everything seems to pale in comparison to those fleeting moments when the balloons are inflated and flying nearby. Since the Mass Ascension of Sunday (sounds like a religious event, doesn’t it?) was canceled due to rain, they held it this morning. Since many of the motorhomes which had been running generators at 5 a.m. have now left, we managed to sleep until 8, and awoke to find a virtual shower of balloons overhead. 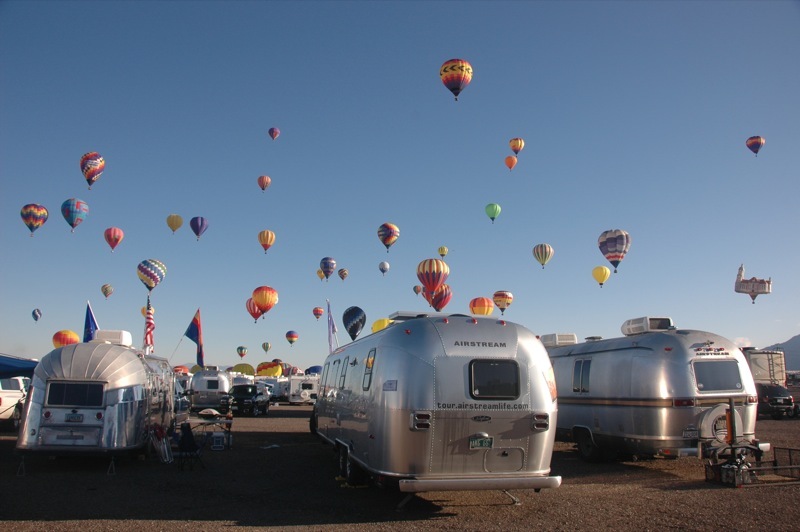 On the whole, I think that I prefer to wake up at 8 and find balloons in the blue sky as I eat breakfast in my Airstream, than to get up at 5 a.m. and hike down through wet grass to watch them inflate in the dark. I may not be cut out to be a balloon pilot, since I assume that pilotage requires a lot of pre-dawn awakenings. 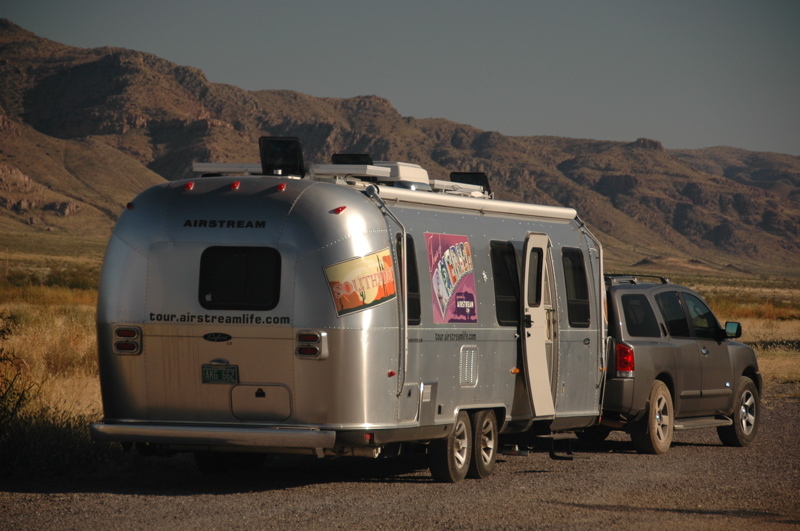 My major regret is that the Airstream was so disgustingly dirty today. Had I thought ahead, I would have washed it before arriving, so that it would make a better foreground for possible photos. The poor thing looks like it has been through a New England winter. We will have to make a stop for a truck wash somewhere along the way back to Tucson, because I can’t put it away in the carport looking as bad as it currently does. This afternoon they’ve been inflating the large white gas balloons, which are filled with either hydrogen or helium. 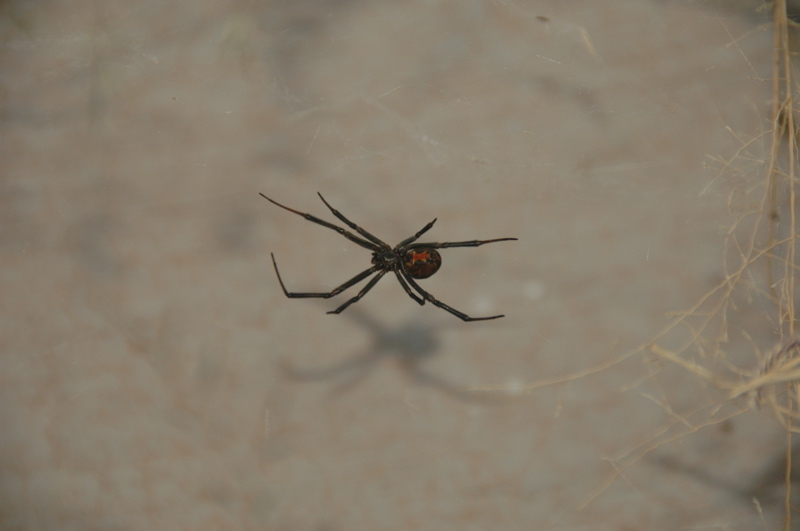 These big suckers take hours to inflate, but they can float for many days before landing. 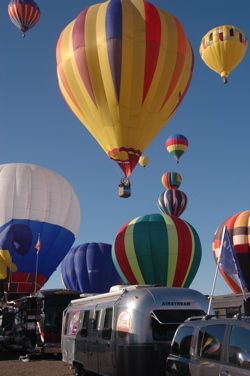 I’ve been told that a typical hot air balloon flight requires a few hundred dollars in propane, but a gas balloon takes many thousands of dollars worth of gas. They’re the long-distance racers of ballooning, and the few that are preparing on the field tonight will be doing exactly that over the next few days. One is already in the dark evening sky as I write this, and it looks like a floating moon. 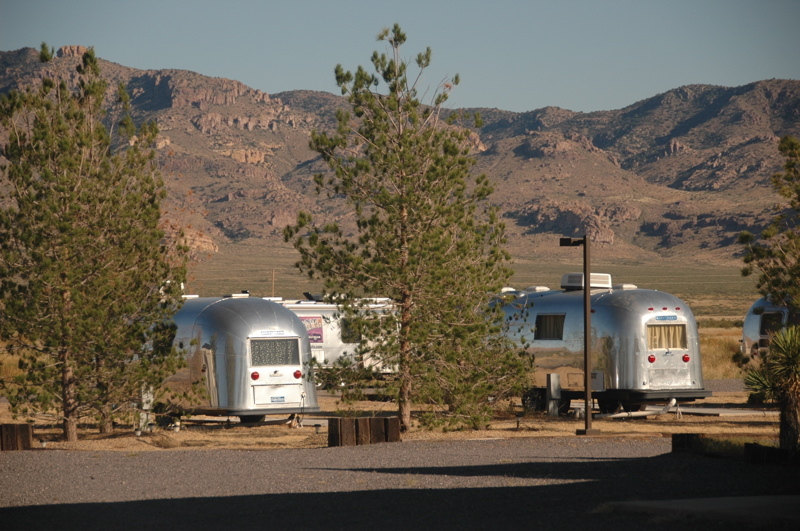 Sadly, our time at the Fiesta is up, and we must leave the RV area on Tuesday morning. The event will continue for another week, so if you are within driving distance of Albuquerque you can still drop in. For our part, we only know that tomorrow we are going somewhere south of here. Incidentally, we also need to evict a mouse. This week, probably as a result of falling evening temperatures, he scrambled into the trailer and has been living with us for two nights. Eleanor discovered the mouse’s presence by his tell-tale chew marks on the cornbread she was storing in the oven, and the resulting tiny mouse droppings. No doubt this is a happy mouse, enjoying the cornbread and warm surroundings on these cool desert nights, but his happiness will soon come to an end. The first tactic will be to tow the trailer 200 miles south to a warmer climate. I suspect that mice don’t enjoy the rock-and-roll lifestyle of a moving trailer, and if this one is smart it will decide to bail out at a stop along the way. If not, he may be inclined to leave when we hit warmer temperatures in southern New Mexico. I am hoping these hints will be sufficient. If we can’t come to an amicable understanding with our rodent roommate, I may have to resort to harsh methods. I don’t have anything against mice as long as they are housebroken, but this fellow is clearly not. Apparently I startled a few people by casually mentioning that this blog will end in about a week. I’ve talked about this on and off for the past year, but never declared a firm end date until now. Here’s the official announcement: After the Balloon Fiesta, we’ll take a couple of days to get back to Tucson, and then settle into the house that we’ve never really lived in. At that point I’ll wrap up this blog. We aren’t about to stop traveling. We’ll do a little travel in October and December, but not enough to sustain daily blogging. 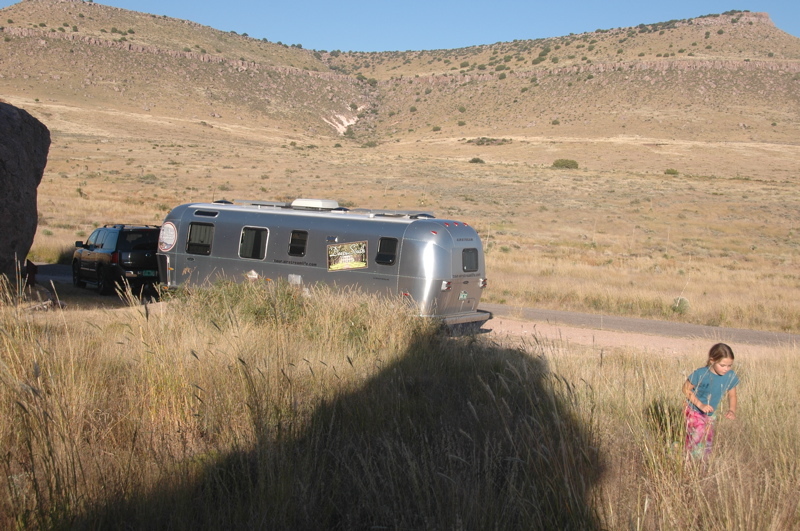 I have many other projects that I want to turn my attention to in the coming months, including some refurbishing of the Airstream, and some work on the house. It will be time to start writing about something new. Now, having written this blog for three years, I’ve become rather accustomed to it. The task of summarizing my thoughts of each day has been good practice for me as a writer, and it has resulted in an irreplaceable journal of this remarkable period of our life. Without the blog, I’d probably have forgotten half the things we’ve seen and done. It has become a public extension of me. So I do plan to keep blogging. The question, which I have wrestled with for months, is what to write about in the future. I still don’t know. But I do know that once I have the idea, I will announce it to you so you can follow along again, if you want. Check back on this blog regularly and look for an announcement. Register yourself on this blog using the link in the right column that says, “Register”. That way I can send you an email when the new blog is ready. The weathermen were right. Yesterday afternoon the weather steadily declined until finally around 5 p.m. some light rain arrived and the temperature dropped. We have had rain all night and although I didn’t get up before dawn again to see, I’m pretty sure the morning balloon launches were a washout. I have no idea what went on last night because Emma got one of those unpleasant kid stomach bugs and kept us completely occupied until about 9 p.m., when she finally and very suddenly crashed in bed. We have some serious laundry to do today, and the comforter from our bed is not going to be usable for the rest of the week. (Note to other full-timers: Never buy a comforter that is “Dry Clean Only.”) This experience also reminds me why I hate carpeting in trailers — it’s very difficult to clean. When we get back to Tucson I had already decided to completely remove the dinette and re-upholster it in some sort of easy-clean vinyl, probably the “Ultraleather” type. Ours is permanently discolored from dirty hands & feet, tomato sauce stains, and a thousand other kid-related spills. We’ve tried washing it but it just doesn’t want to come clean. The foam cushions are dead flat too, so it’s time for a makeover. This latest episode just sealed the deal. If I get really ambitious, I may even remove the entire bedroom and replace the carpeting in there with something more suitable for our lifestyle. The loss of today from the Balloon Fiesta is not a terrible thing. We are paid through Tuesday morning, and the weather looks like it will be better on Monday, so we’ll resume that program soon. Having some errands to do in town gives us a reason to leave the grounds and see a little of Albuquerque. 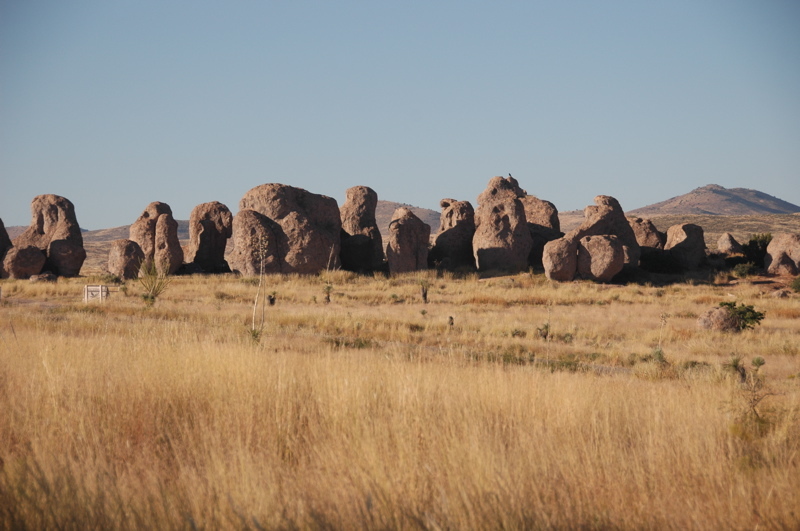 If Emma feels up to it today, we’ll go to Petroglyph National Monument, which is right in Albuquerque. If not, we’ll take it easy. Given that this is our last week of full-timing, I feel like mixing in plenty of “doing nothing.” Il dolce far niente.